Fashion photography is clearly my favorite thing to do. 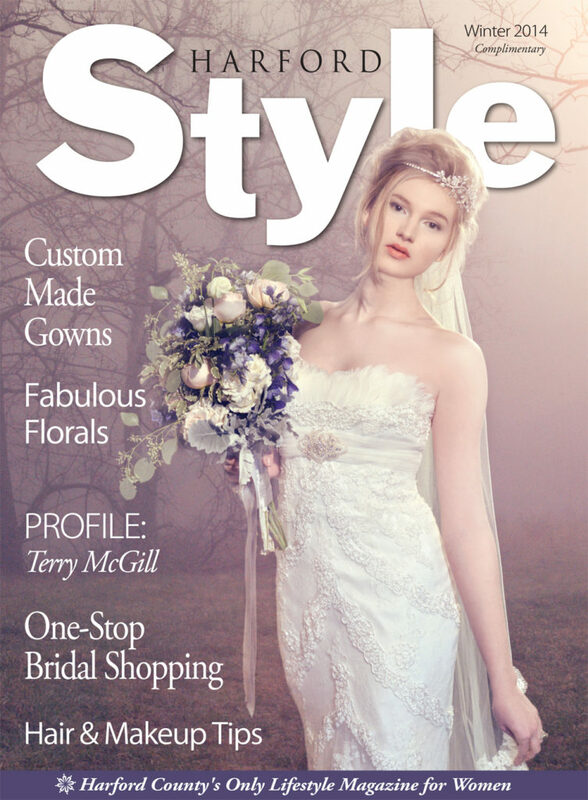 At Harford Style Magazine, we decided to dedicate one issue each year to Brides and all things wedding related. Bridal and wedding images are so much fun since you can create very dreamy and romantic settings and it’s hard not to love a photo that features a gorgeous gown on a beautiful model. Fashion Photography. Models: Alex Hayden represented by T.H.E. Artist Agency, and Amber Affeld. 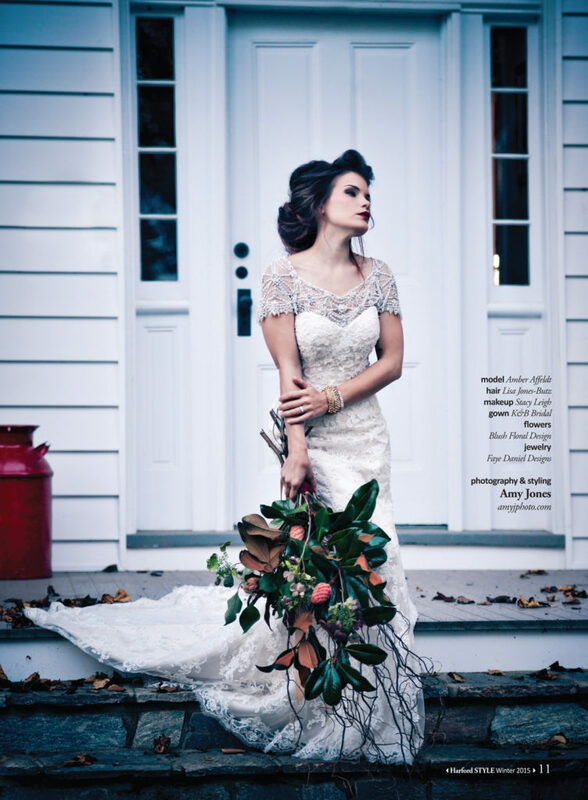 Makeup: Gina Bateman and Stacy Leigh Hair: Sarah Jackson (Bang! 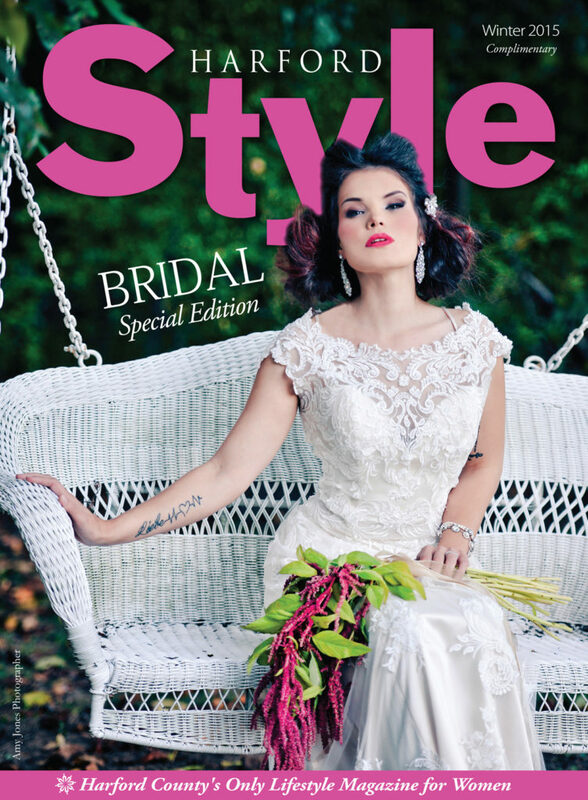 the salon) and Lisa Jones-Butz Flowers: Blush floral studio Bridal gowns and accessories: Amanda Ritchey Bridal and Beauty and K&B Bridal.